Stilnox is a prescription medication that is used to treat insomnia. Some users experience euphoric effects when taking the drug, which can lead to compulsive patterns of use. People who have trouble controlling their use may need to seek Stilnox addiction treatment. The signs of Stilnox addiction. Types of inpatient Stilnox recovery centers. How to choose a program. How to pay for treatment. Who Answers? to talk to a recovery support representative about inpatient Stilnox treatment centers for you or your loved one. Stilnox is an international brand formulation of zolpidem, a sedative-hypnotic drug that promotes sleep by slowing down brain activity. More commonly known in the U.S. as Ambien, the drug is used to treat people who have sleep disorders such as insomnia or who have trouble falling or staying asleep. It should not be taken for more than four weeks under normal circumstances. Unable to control use of Stilnox and/or using more than you meant to. Expressing a desire to quit but being unable to stop. Spending a large amount of time spent obtaining, using, and/or recovering from Stilnox. Reducing engagement in activities that do not involve Stilnox use. Neglecting work, home, or other responsibilities due to Stilnox use. Using Stilnox in physically hazardous situations such as while driving a car. Needing more Stilnox to achieve the same effect as before (tolerance). People who have become dependent on Stilnox may experience withdrawal symptoms if they suddenly stop using the drug. Abrupt discontinuation of a sedative-hypnotic drug may cause brain activity to race out of control, which can lead to worsening insomnia and even seizures. Those who want to stop using Stilnox should seek out medical supervision. The withdrawal process can be complicated and may cause undesirable side effects. Look for recovery facilities where professionals have experience with detox from sedatives such as Stilnox. Inquire about the medications the detoxification team may use and try to find out the success rates of such treatment. Many programs also feature additional activities such as movies, games, and field trips. They may also offer yoga sessions, exercise programs, or nutritional therapy. A few different types of inpatient Stilnox programs exist. These can vary in terms of the amenities they offer as well as how much they cost. Standard. These are basic residential programs. They provide detox, therapy, aftercare, and other activities. Residents usually share rooms and eat in a cafeteria setting. Luxury. Luxury Stilnox recovery programs include all the basic services of inpatient with additional amenities such as swimming, yoga, horseback riding, or acupuncture. Residents usually live in private rooms, receive chef-prepared meals, and may be treated in a beautiful setting, such as near the beach. These programs tend to be more expensive than standard programs. Executive or CEO. Executive programs are much like luxury programs. However, they include amenities tailored to busy working professionals, such as meeting rooms, private workspaces, and Internet access. Like their luxury treatment counterparts, these programs also tend to cost more than standard programs. The major difference between inpatient and outpatient Stilnox recovery centers is that inpatient programs require you to live at the facility full-time while receiving treatment. Outpatient treatment takes place on a part-time basis. You visit the recovery center on certain days of the week for a few hours at a time, then return home after you complete treatment for the day. Outpatient programs offer individual and group therapy and may provide detox. Many people who cannot afford to take time away from work and home find outpatient convenient, and these programs are generally less expensive than inpatient. However, recovering from a sedative-hypnotic drug dependence can be quite challenging, and people who have been addicted to Stilnox for long periods of time may require close supervision during withdrawal. Inpatient programs also remove you from triggers in your day-to-day environment that can lead to relapse, and they allow you to focus solely on your recovery. Do You Need Help Finding a Program? Who Answers? to talk to a treatment support specialist about recovery programs. These trained representatives can answer questions you may have about rehab. Cost. Find out how much the program costs and what you can afford. Location. Consider how far you will have to travel to attend treatment. Some people prefer to get away from the environment where they were using drugs, while others prefer to stay close to home so it’s easier for their family to be involved in their recovery. Program philosophy. Treatment approaches can vary among programs. Think about whether you prefer a faith-based, 12-step, holistic, or evidence-based approach. Dual diagnosis treatment. A rehabilitation center should be able to treat not only the primary addiction, but also any co-occurring mental health disorders. Make sure that the center can screen for and treat any underlying psychological issues, such as depression, anxiety,or personality disorders. Accreditation. See if the addiction recovery program or rehabilitation center is accredited by nationally and internationally recognized organizations, such as the Commission on Accreditation of Rehabilitation Facilities, the Joint Commission, and the Council on Accreditation. Accreditation provides assurance that the services and facilities are of the highest quality and that the center has conformed to national and international standards for health care providers. A physician with broad experience and specialized training in addiction and rehabilitation services. A registered nurse with appropriate experience in rehab services or a registered mental health nurse with broad knowledge and experience in handling addiction and mental health issues. A licensed and certified addiction therapist who is experienced in running addiction programs, can help you cope with your addiction, and can provide referrals to other health care providers that can help you achieve a successful recovery. Finally, it can be useful to learn about the treatments the program uses in its Stilnox rehabilitation process. Cognitive behavioral therapy. This is a type of mental health counseling that helps a recovering individual unveil any negativity or distorted perception of reality in their thinking and then develop the skills to cope with challenging situations. Family behavior therapy. The therapy involves people who have a significant role in the addicted person’s life. It addresses problems related to relationships, such as communication, trust, abuse/neglect, mental health, unemployment, and conflict. 12-step programs. These programs promote abstinence through a set of guiding principles and social support. Twelve-step programs outline a clear method of recovery from behavioral disorders and addictions. Contingency management. This involves the reinforcement of positive behavior, such as drug abstinence, through tangible rewards, like movie passes or food items. Payment options include insurance, sliding scale, credit cards, and borrowing. Program type. As mentioned above, inpatient programs are usually more expensive than outpatient programs, and luxury and executive/CEO centers will cost more than basic inpatient centers. Length of stay. The longer you stay, the more your total cost will be. Amenities. Luxury programs or programs that offer more features, such as state-of-the-art gyms, personal trainers, swimming pools, and other amenities will cost more. Location. Programs located near the beach, or in other desirable locations, will also cost more. Many programs accept insurance coverage. However, coverage can vary, and you may still have some out-of-pocket costs. Call 1-888-319-2606 Who Answers? to learn more about what your insurance will cover and find programs that accept your insurance. Working out sliding scale rates and payment plans. Many programs offer payment plans that allow you to pay off the cost of treatment over time. Some also offer sliding scale rates, which means they will adjust the cost of treatment based on your ability to pay. Using credit cards. Look for cards that offer good interest rates, and make sure you can pay off the balance in a reasonable amount of time. Borrowing from friends and family, a savings account, or a 401(k). 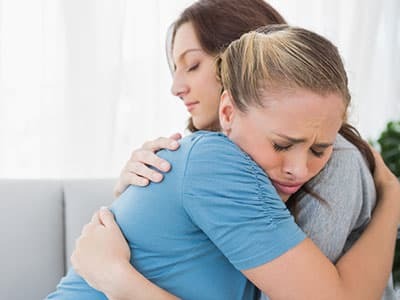 Some people might be hesitant to borrow from savings or retirement, and your ability to borrow from family and friends may depend on which ones support your effort to get sober. Think of the money as an investment in your future. Over time, addictions are usually more expensive than treatment. Starting a crowdfunding campaign. Sites such as GoFundMe, IndieGoGo, and Crowdrise allow you to set up a page on their site and receive donations from friends, family, and strangers. If you or someone you love needs help, do not hesitate to call 1-888-319-2606 Who Answers? to learn more about treatment for sedative addiction, and to get information about inpatient zolpidem recovery programs. Blog: Are Sleeping Pills Safe, Addictive?